UPDATE: Chicago Police Superintendent Eddie Johnson asks, "Do I think justice was served?" He answered, "No...I think this city is still owed an apology." Chicago Mayor Rahm Emanuel sounded off on the "ethical costs" of the investigation. He regretted that Smollett had used hate crime legislation laws to "self promote" his own career. Especially because it comes at the expense of actual hate crime victims. "This is a whitewash of justice." Emanuel further noted how the actor continued to claim innocence even after evidence of the hoax surfaced. "How dare he!" the mayor said. "There's still no sense of ownership of what he’s done." It seems like this case may not be over. 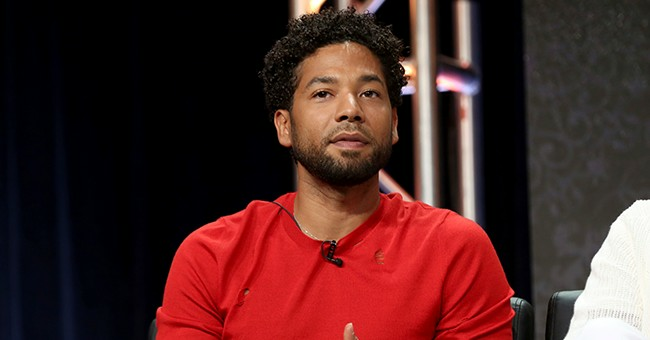 Prosecutors in the city of Chicago have suddenly dropped all criminal charges against "Empire" actor Jussie Smollett, who was accused of faking a hate crime. A grand jury has returned the 16-count felony indictment against the actor and his record has apparently been wiped clean. Smollett filed a police report in January saying he had been attacked by two President Trump supporters in the middle of the night in Chicago. In the filing, Smollett claimed the men had yelled racist and homophobic slurs at him and placed a noose around his neck. Later, the ambush was reported as a hoax. The actor was accused of paying a pair of Nigerian brothers, one of whom had worked as an extra on "Empire," to stage the whole thing. Throughout the case, Smollett was adamant he did not make up the attack. “Jussie was attacked by two people he was unable to identify on January 29th," Smollett's attorney said Tuesday. "He was a victim who was vilified and made to appear as a perpetrator as a result of false and inappropriate remarks made to the public causing an inappropriate rush to judgement." Chicago police have expressed their frustration over the amount of resources they used to get to the bottom of the alleged hate crime. "It pissed everybody off," Police Superintendent Eddie Johnson said. Smollett is expected to speak to the press as he leaves court on Tuesday. The Cook County State Attorney's office explained why they abandoned charges. "We are very anxious for Jussie to get on with his career and his life," Smollett's attorney Patricia Brown Holmes said on Tuesday after her client's charges were dropped. "I have been truthful and consistent on every single level from day one," Smollett said in a brief statement.